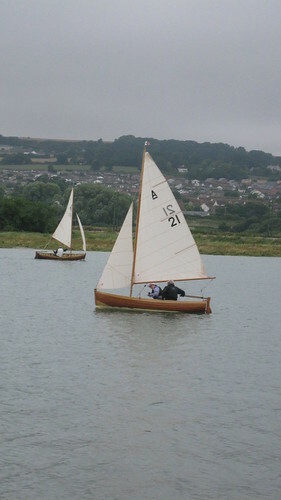 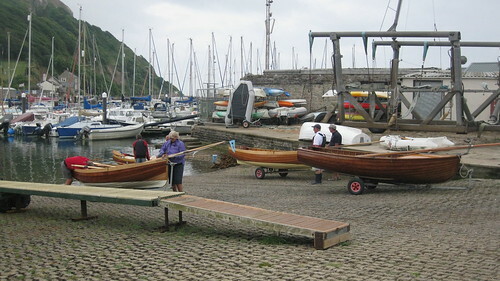 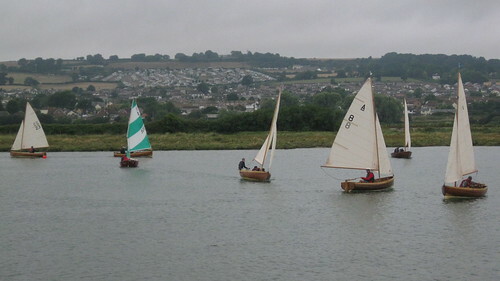 The last weekend of July saw all eight AODs gather on the Axe estuary for the 65th Anniversary Regatta. 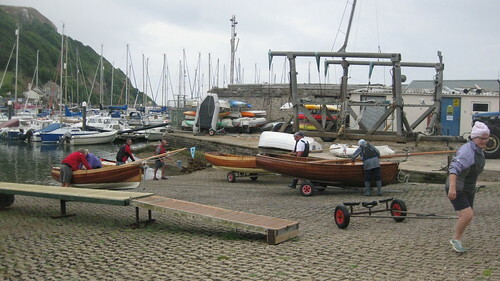 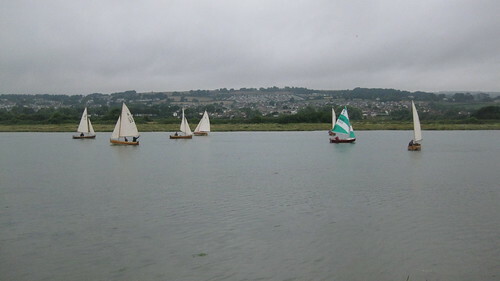 Expectations were high, with a full programme of activities both on the estuary and the sea – especially since the summer has proved to be an exceptionally settled one. 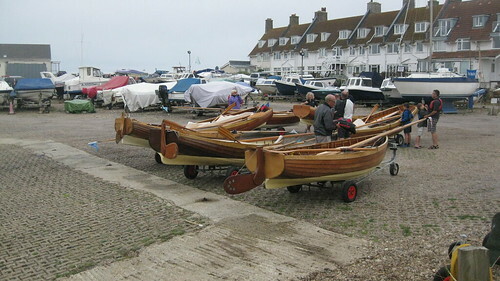 Unfortunately the 27th – 29th July proved otherwise. 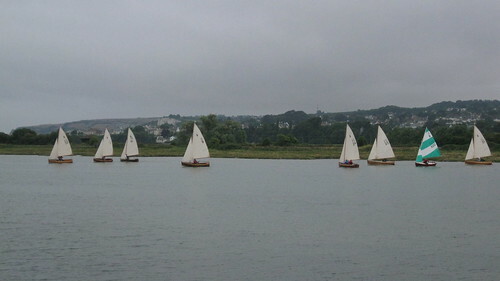 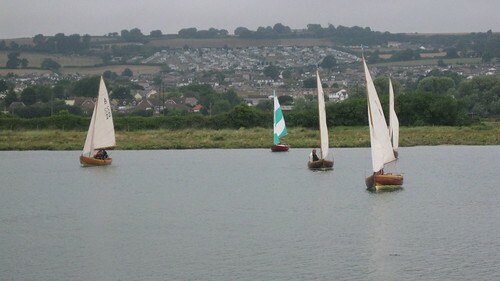 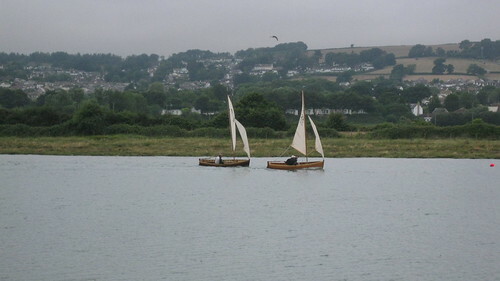 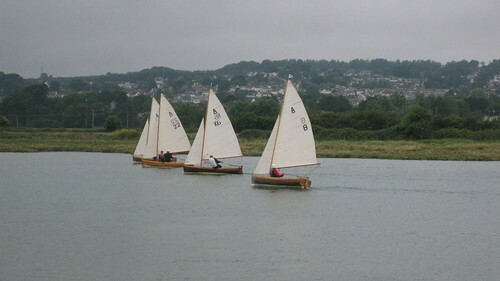 Just one of the five races were sailed, on the estuary Friday evening. 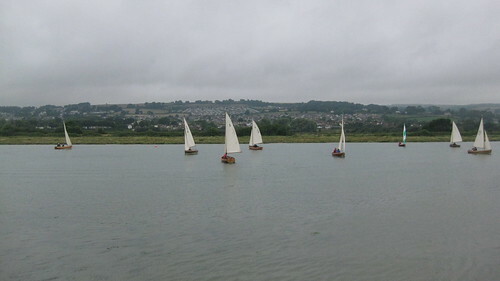 Following which a strong southerly wind Saturday turned into a full blown gale on Sunday. 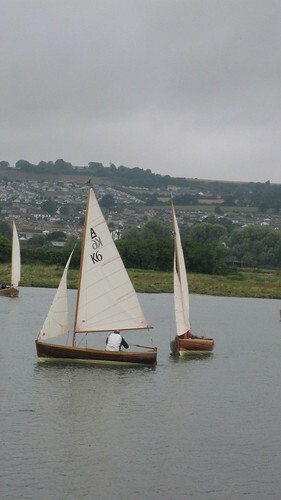 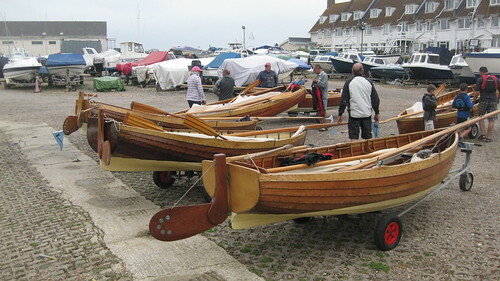 Plan B went into action and instead of a passage race & picnic on Pounds’l Beach, the boats were displayed at the Axmouth Flower Show! 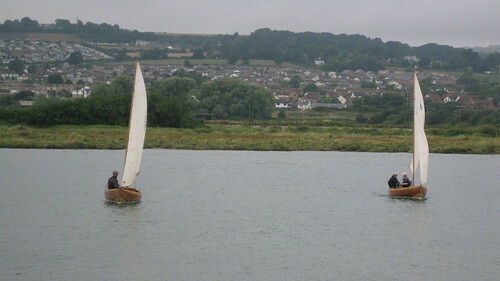 However, even though the sailing may have been curtailed, the social programme went very much to plan. 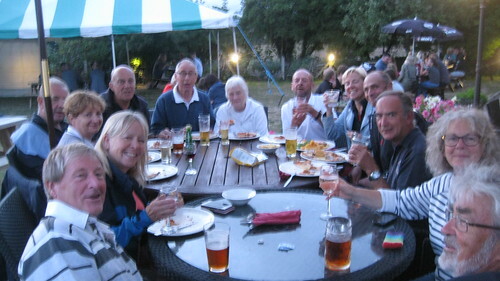 The Friday pizza evening at the Ship Inn, the Saturday evening Regatta Cocktail Party at Glenwater Hall, the prize giving dinner back at the Ship Sunday evening; all proved to be a tremendous success. 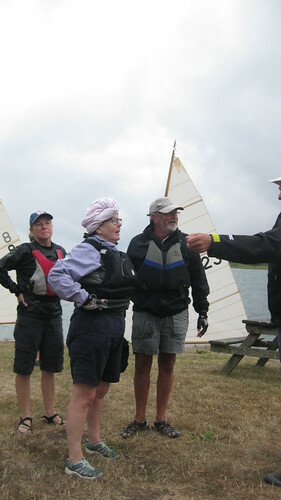 New prizes were awarded this year for categories other than just the racing – download the full regatta results. 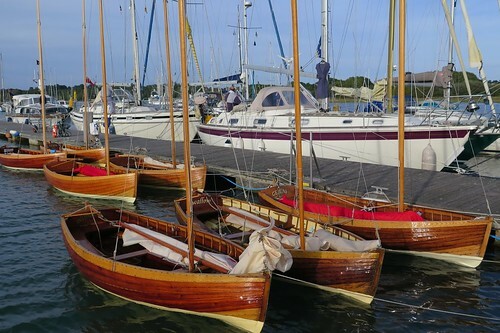 There was no doubt in the winner of the Concours d’elegance – latest entry to the fleet Maflingo, launched earlier this year looking particularly smart and receiving many favourable comments at the flower show! 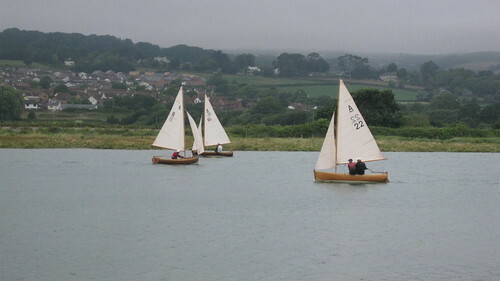 The juniors tankard went to Shearwater with her young crew. 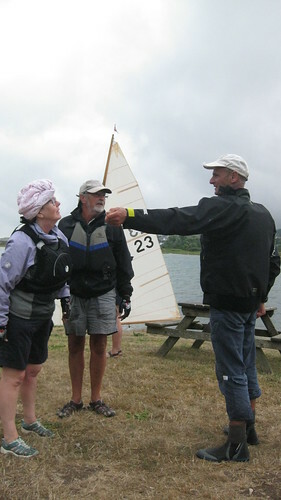 Best dressed went to Tern, sporting very fetching Shower Flow race attire. 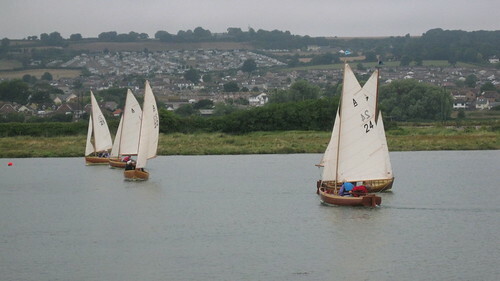 And the best regatta cocktail went to Gemini, for taste, style and inebriation. 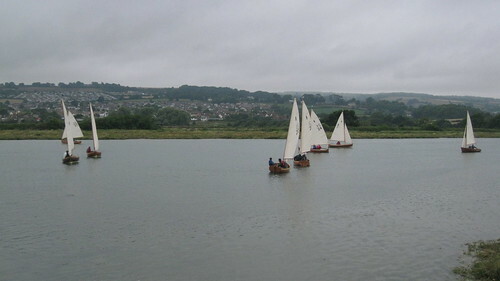 Looking ahead the Class has decided that five years is too long to wait for the next regatta, therefore it has been decided to hold an annual AOD Regatta – eventually the weather will turn in our favour!